Multiple hits producer King of Accra has revealed that the Ghanaian music industry doesn’t feel safe for his career considering its present state. King of Accra is among the young producers who have contributed immensely to the success of most Ghanaian music stars, namely Sarkodie, Trigmatic, Guru, Edem and the list goes on. In a recent one on one interview with King of Accra disclosed that he doesn’t feel his career as a Ghanaian musician and producer is secured because there are no proper systems in place to help artists and producers to generate a lot of income from their work. He also complained bitter about some corporate entities using works of musicians without paying royalties to them. This he said makes working in Ghana tough and unsafe. He spoke about unavailability of music shops and outlets where musicians and producers can market their products. “There is no outlet that has been created here to sell our music. So we have to now have pay people in the States to put our songs on ITunes and take commissions, and we can’t do it ourselves because there are no laws that governing musicians? Then it’s a really bad thing. He finally said. 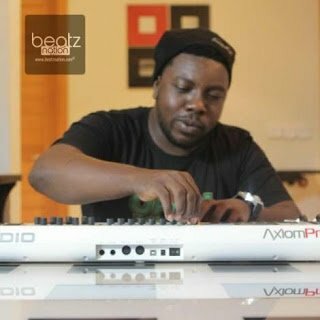 King of Accra is currently the resident producer at Mega Twelve studios.